From: The Sisterhood of Congregation Habonim, New York, New York ; edited by Carol Kahn. 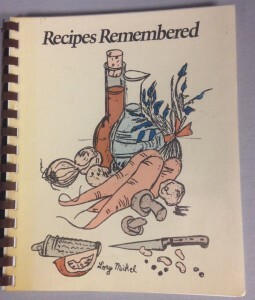 Recipes Remembered. 3rd printing. New York : The Sisterhood of Congregation Habonim, 1976, 1988. Dedicated to our mothers and grandmothers who left us their favorite recipes and to our children who carry on, in modern kitchens, these culinary traditions. The history of Habonim Synagogue is an interesting one. Founded in 1939 by German-Jewish refugees from Nazi Germany and Austria, its core atmosphere for many decades was the rituals and culture of German-Judaism. According to Habonim’s website, 20 percent of current Habonim congregants can still say they were born in Germany. 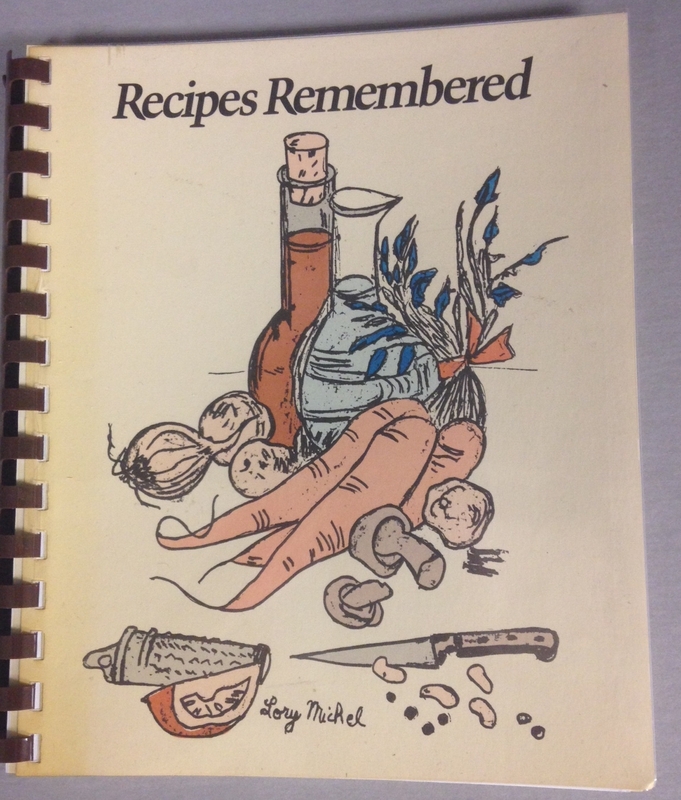 Recipes Remembered offers a look at how that community had evolved and adapted to life in New York City by the mid 1970’s, at least in culinary terms.